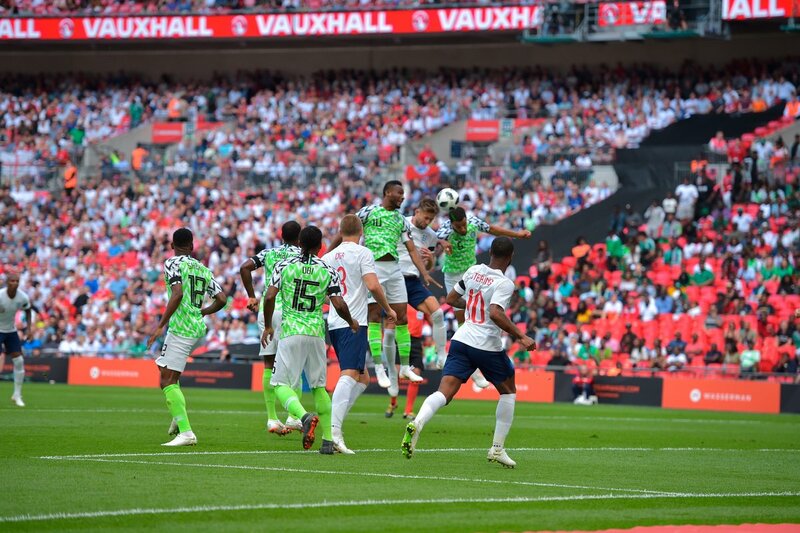 Super Eagles were narrowly beaten 2-1 by the Three Lions of England in Saturday’s international friendly match at Wembley Stadium in preparation for the World Cup. England took the lead in the 7th minutes through Gary Cahill before Harry Kane doubled their lead in the 34th minutes to give them a comfortable at halftime. However, Nigeria reduced the scoreline when Alex Iwobi scored from an Odion Ighalo’s shot in the 47th minutes. All efforts to equal proved abortive as both teams settled and could not add to their goals. The Super Eagles next face Czech Republic on Tuesday in their final warm-up match before the World Cup.